Huawei P10 and P10 Plus were the show stoppers from the Chinese giant at the MWC, 2017. Huawei has managed to make the P10 and P10 Plus its best smartphones so far. If you just look into the specifications of these phones, you will find them a great deal under a handsome amount of bucks. 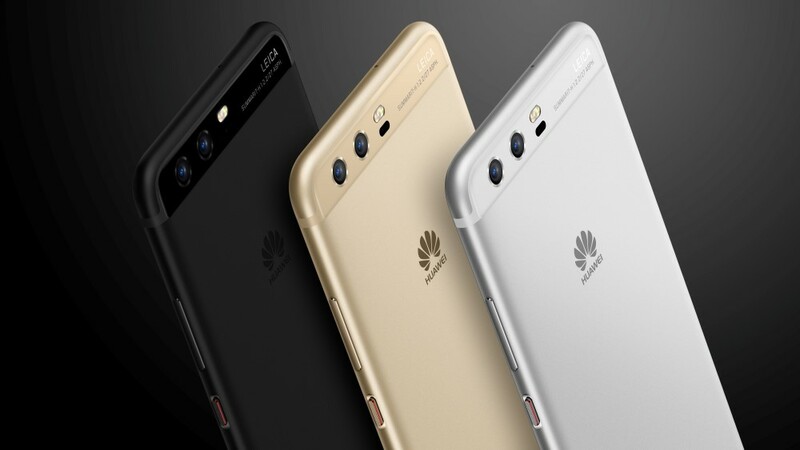 Huawei P10 and P10 Plus both come in a variety of colors, and the nice build and design packed in enchanting colors make this device much more lovely. Both the phones run on Android 7.0 Nougat out of the box and boast off Huawei’s EMUI atop. In case you are a planning to purchase one of these handsets, it would be very much unfair if you do not tend to unleash its true potential. Unlocking your phone’s powerful features starts off with bringing in a custom recovery. A custom recovery can do wonders. It first allows you to wipe your phone’s cache, Dalvik cache, and other partitions separately. Custom recovery is also responsible for creating a Nandroid and EFS backup. Other options of a custom recovery include flashing of a custom ROM, custom .zip files, MODs. In most of the cases, a phone is rooted by flashing a .zip file in a custom recovery. The only custom recovery available nowadays is TWRP and that is what we have for the Huawei P10 and P10 Plus. Along with the TWRP recovery, a root procedure has landed in as well. You will be able to disable forced encryption and root your phone without any issues. The recovery we are talking about comes from XDA developer OldDroid and the root method/file hails from XDA member yury_z. Following this procedure will result in voiding the warranty of your device. Do it at your own risk. In case of a mishap, the developers or TechBeasts cannot be held responsible. It’s time for us to pause the discussion and explanations here and head towards the method to install TWRP and Root Huawei P10/P10 Plus. Download and extract the ADB and Fastboot package on your computer’s desktop. Install Huawei USB drivers on your computer. Backup your contacts, call logs, SMS messages and media content. Use OEM data cable to establish a connection between your PC and your phone. Open the extracted platform-tools folder. Copy the Recovery file to the platform-tools folder. Now inside the platform-tools folder, press and hold the shift key on the keyboard and then right-click on an empty area within the platform-tools folder. From the menu that will open up, click on “Open command window here“. Connect your phone to your PC now. In the command window, enter the following commands one by one. Press enter, this command should return a small code verifying your connection. Press enter, this command will reboot your phone into the bootloader mode. Press enter, this command will verify if your phone is connected properly in fastboot mode or not. Press enter to flash the recovery now. Press enter to reboot the device now. Power down your device. Now turn it on by pressing and holding Volume Up + Power button. Your phone should boot into TWRP recovery now. In TWRP, slide through the “Swipe to allow modifications” option. Now tap Mount > Mount the Data Partition or Internal storage. Copy the SuperRoot_noverity_nocrypt.zip file to your phone. Disconnect your phone now and get back to the main menu in TWRP. In TWRP, tap Install > Install Zip > Locate and select the file you just copied > Swipe to confirm flash. Once the file has been flashed, reboot into the system. Go to the Play Store now and install Phh’s SuperSU application. That’s all. Although the method listed above should work fine for you, but just in case the Error 1 Message comes up in the TWRP recovery, you need to download the third file named as boot from the files linked above and then flash that file using the command fastboot flash boot boot.img. That’s all with the entire procedure to flash TWRP and root your Huawei P10 and P10 Plus. Now that your phone is rooted, you can flash different MODs and install different applications to get the maximum out of it. In case of an issue, feel free to contact us through the comment box below.